The time has come for the first Halloween project this year. 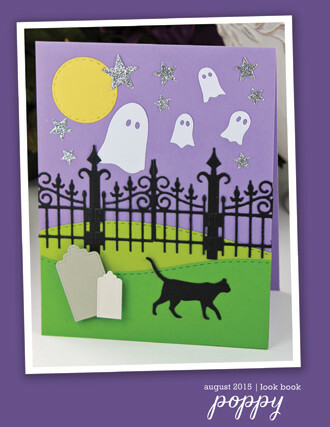 I love the idea of cute and cozy Halloween rather than super spooky one (some things do scare me a lot!). So this is what I came up with - dark and mysterious but very warm, cozy and sweet. To create this mini wall hanging I have used some Poppystamps dies along with some mixed media products like cork sheets and crackle glaze. 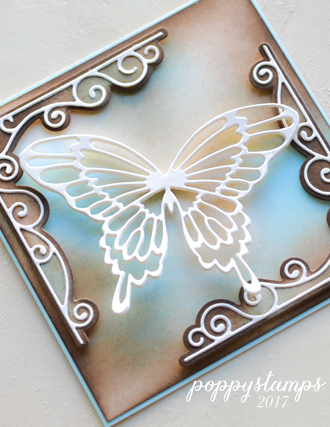 Watch the video tutorial below for step by step instructions! I hope you enjoyed and have a wonderful weekend! 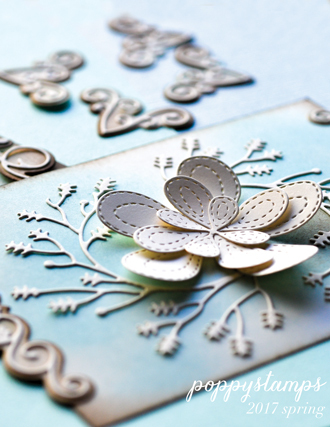 There are so many ways to make shaker cards. 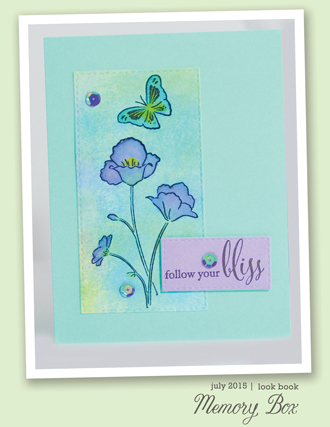 The entire card front can be a shaker window or you can create a shaker element on your card. 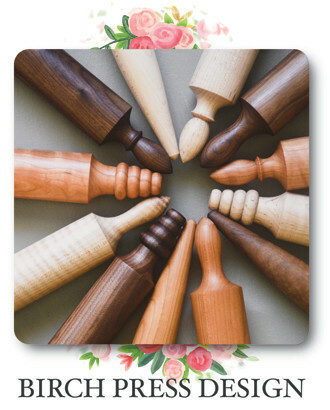 I chose to do the latter for this ornament shaker. 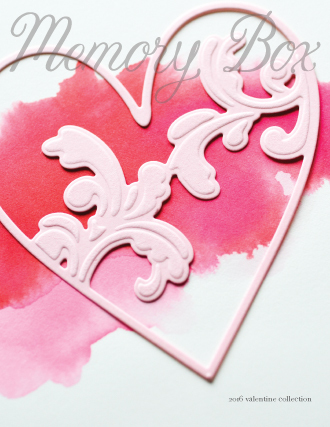 You can use foam to create the dimension of the shaker, but if you don't have any foam, you can absolutely stack up cardstock die cuts to create the shaker element instead. A shaker element is perfect for holiday cards and this one is clean and simple enough to be recreated a bunch of times to have a stack of very special holiday cards ready to go! How are you!!! 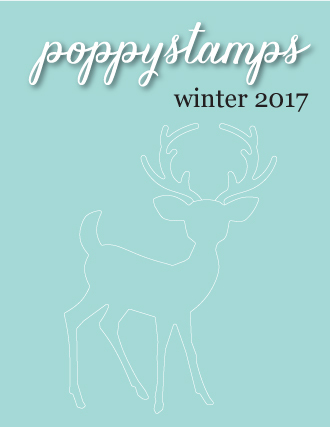 We follow showing for you Christmas projects with the new Poppy release!!!! 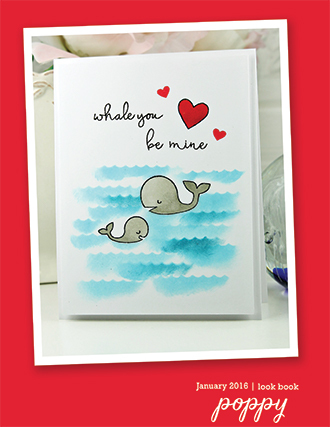 Today, look this card with a cute scene!!!! 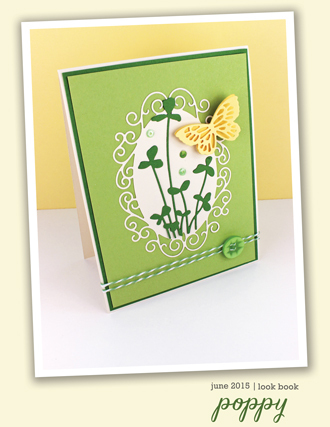 I think it's a clean and simple card.... Fun elements and with Poppy (stamps and diecuts) we don't need more!!!!! I love your messages! Thanks amigas!!!!! 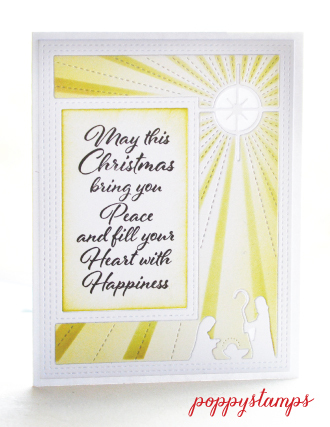 Hello everyone, Need a Festive Card in a hurry, cannot get much simpler than this make..White card and Gold Mirri card. How achieved depth to the holly Vine Sidekick frame. 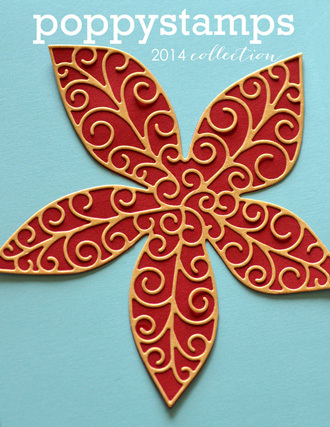 I have cut two die cuts in gold Mirri, on the reverse of one I used foam pads and then adhered both together. The frame was adhered to white card piece 5.1/4" x 4"... I also have cut in mirri and white the "Simple Holly Vine Frame" perfect fit for the blank on the frame. I used the white one to create a shadow, this also has been layered with 3d foam tape. I created a mat with white and gold mirri card, my main card size 7"x 5.1/2". 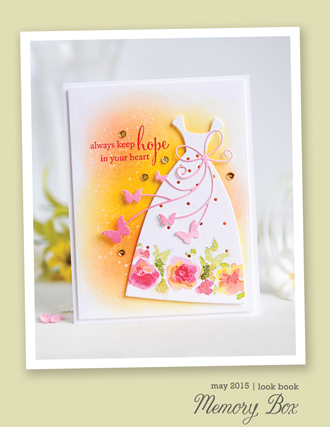 Finished card..Joy with Joy Outline ..Ribbon bow..pearls! Simple and Quick!! Sorry about reflection in the mirri card. 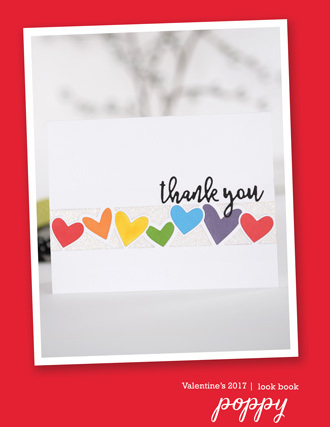 Thank you for stopping by and hope you have a go at this quick card..Pam x.. I know you love to craft or you wouldn't be here reading this blog. Sometimes you might not feel so inspired to create. 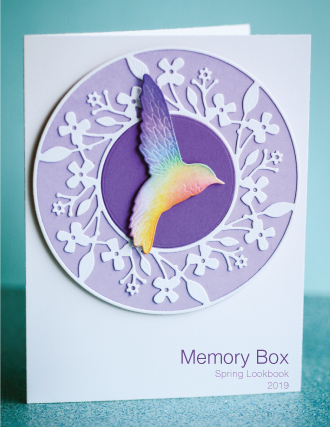 To get my crafty mojo in gear I usually look on line for different challenges to play. 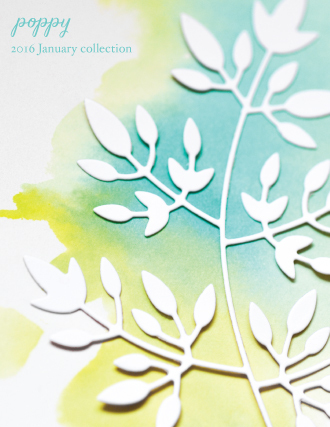 You can find so many different card challenges to play - sketch challenges where the layout is already decided for you, color challenges, challenges by theme, challenges inspired by photos, and how about his one from The Library Challenge? 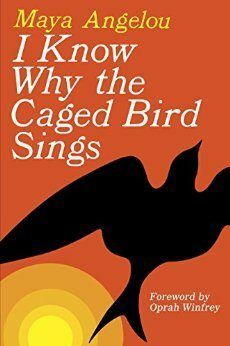 I was smitten with the clean graphic design of the cover. 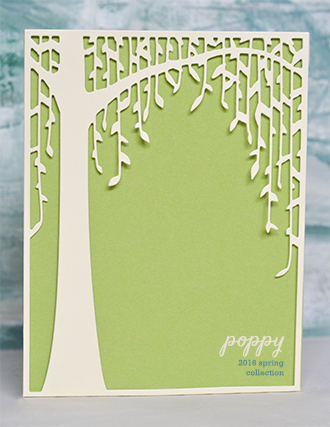 It's the same reason I love die cuts.. the crisp clean lines and the contrast you can achieve using them. I cut the Peaceful Dove die from orange card stock and then a second time from charcoal card stock. I trimmed the orange panel and then layered it over a black card stock panel. 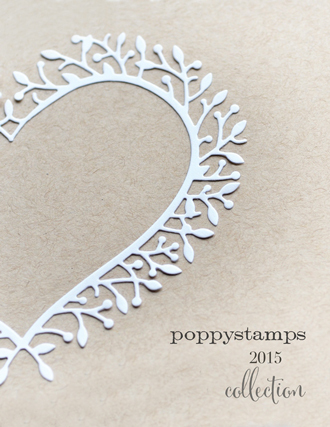 I added a white die cut Believe Loose Script Sentiment to mimic the white title on the book. The sun was created cutting circles in various shades of yellow and stacking them on top of each other. I adhered the sun in a similar position as the book cover. So don't let your lack of enthusiasm get the best of you! Take some time and try some new challenges. 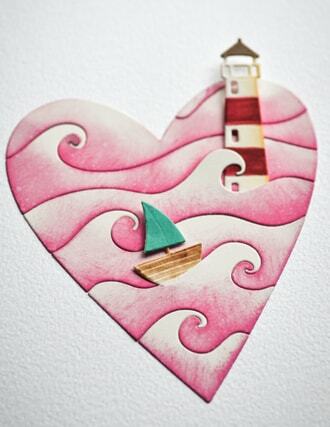 There's lots to find, and before you know it you'll be back to your crafty self! 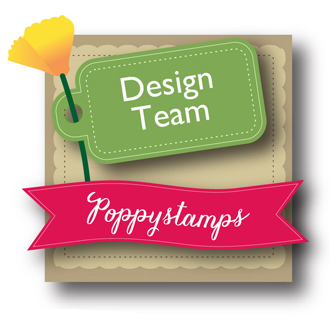 Hi, it's my turn to bring you a project, using Poppy stamps and dies, and I've chosen a darling new die called, Birch Stitched Frame. It's a power packed die, 2 1/4 x 3 1/2", with so many possibilities. 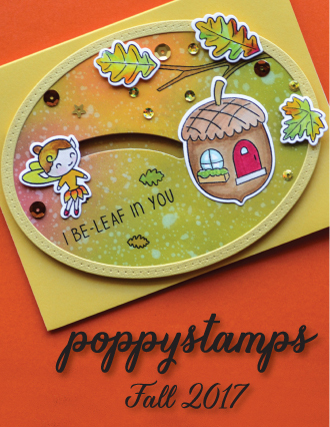 I wanted to keep my fall themed card monotone in color, and also full of sparkle. Truthfully, can't wait for cooler weather and soft breezes! Once I cut the birch tree frame, I sponge inked it with a couple of Distress Inks onto watercolor cardstock, following a quick watercolor method I learned from Jennifer McGuire. Look closely to see how I applied darker tones to the sides of the trunk and underside of the branch. Then, instead of water I spritzed the whole die cut with Lindy's Starburst: Twinkles Tinsel, for an all over glittered effect. The background is stenciled, first with sponge inking, then also sprayed with Lindy's Starburst. 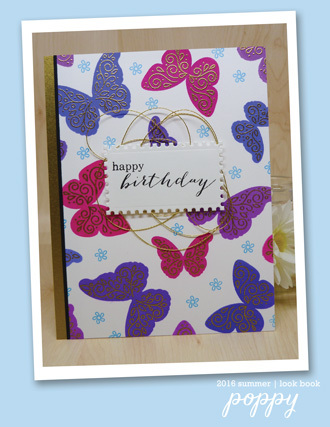 It's a quick and easy way to add a layer of shiny sheen to a card. Same treatment for MB's Botanical Stem. A bit of silver thread, a few silver sequins, and a vellum sentiment embossed in white and platinum, and my card is done. 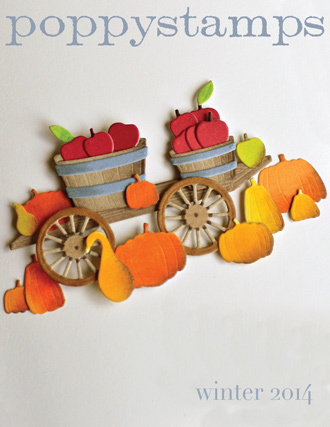 Hope I gave you some inspiration to start your fall cards. Is that a breeze I feel? Nope! It's the air conditioning coming on again. 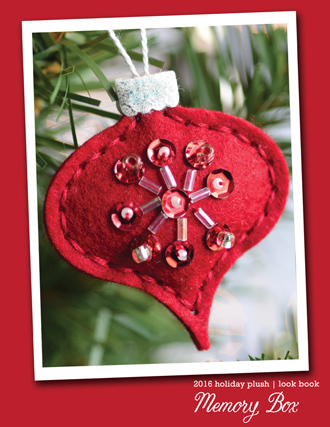 I always like to refer to this time of year as the start of "Crafty Season." 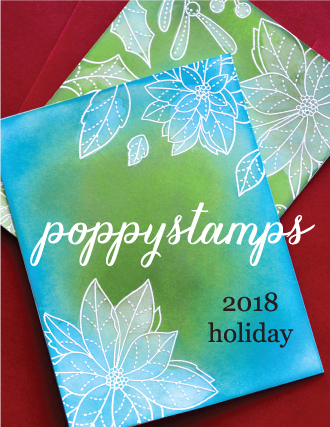 If you love to create holiday cards, projects, gifts, wrapping paper, Advent calendars, and gift card holders, there really is very little time left, am I right? 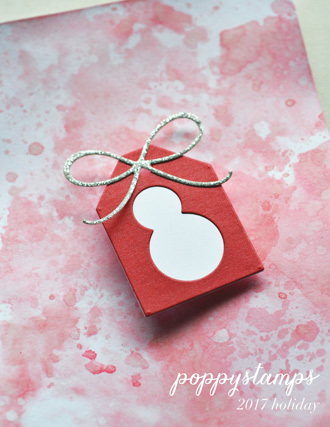 So today I am sharing an idea for a beautiful holiday tag that will really put the pow in your holiday wrapping this year! 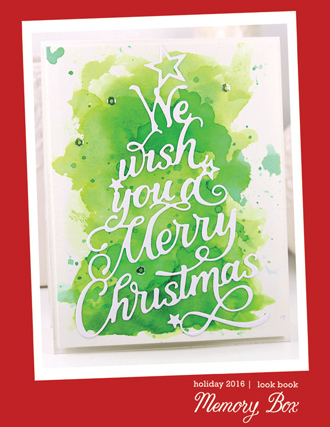 This merry and bright holiday tag was created with YUPO paper and alcohol inks! 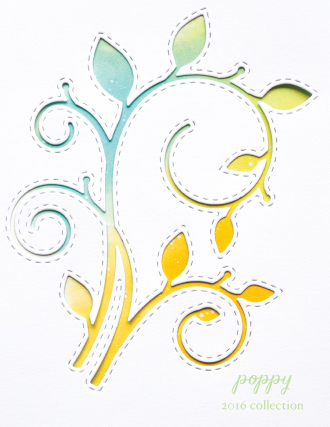 There are many different techniques you can try when using alcohol inks and YUPO paper, such as blowing the ink with a straw or blending the ink with a sponge dauber. To create this tag, I simply dropped very tiny drips of alcohol ink on my YUPO paper and let them spread and bloom all on their own. 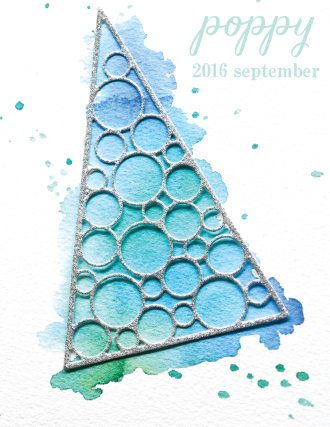 The drops form these pretty round shapes that remind me of shiny bulbs and ornaments. You can see the card on the right was the card I used to create this tag. 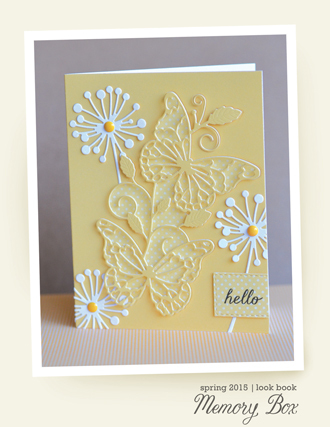 The card on the left was gently blended with a sponge dauber, which will give you softer shapes and a blended look. 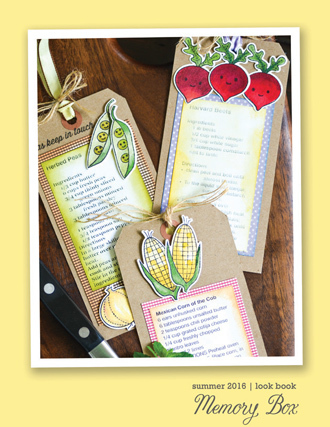 Once your cards are completely dry, cut them into your favorite tag shape, like the Stitched Main Street Tag I used here. I used the gorgeous and intricate Seed Snowflake Outline, cut out of sparkly white glitter paper, and yes, it shouts FESTIVE! 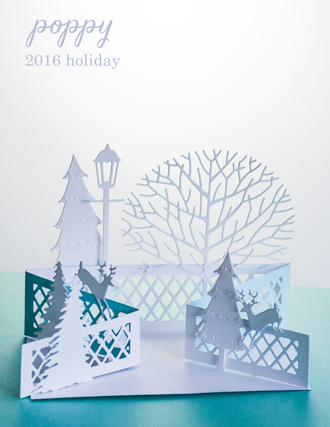 If you want to make your snowflake pop, cut out an extra 3 or 4 snowflakes in plain white cardstock and carefully glue them all together. This tag has a wonderful feel to it too! I love making beautiful tags, and I always run out! 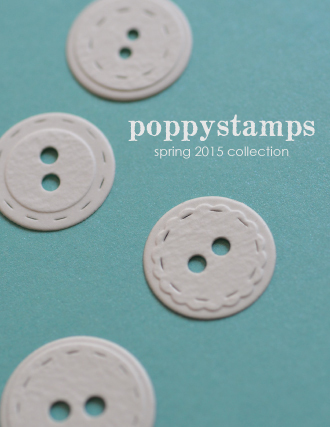 So this year, I am making tons of tags, early and often, to avoid the big Holiday rush! 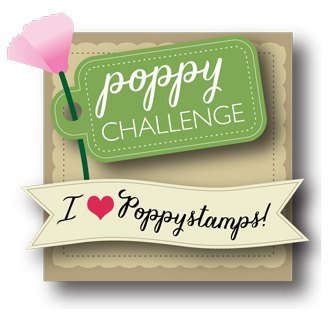 Join us all through the "Crafty Season" to find great inspiration and ideas from our entire Poppystamps team! Hello! 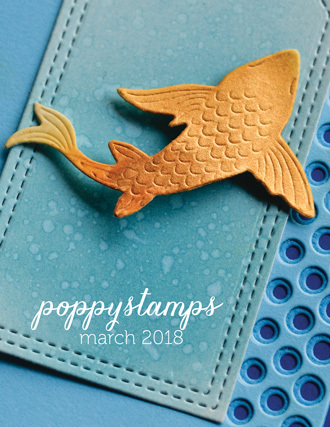 I hope you have been playing along with this month's challenge theme of "Make a Splash!" 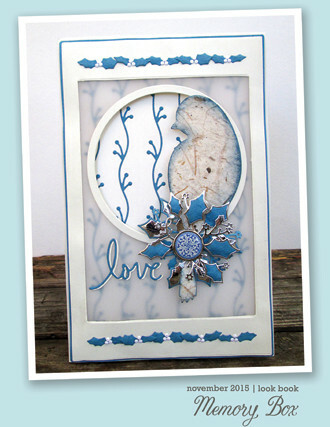 For my card, I started off with colors that remind me of the beach: sparkly blue, Kraft, and a crisp, clean ivory. I glued a shimmery circle onto the front, and framed it with the wonderful Double Stitch Circle Frames. Next, I added the Little Luxe Hello to the front, along with a cute sea turtle to bring it all together. 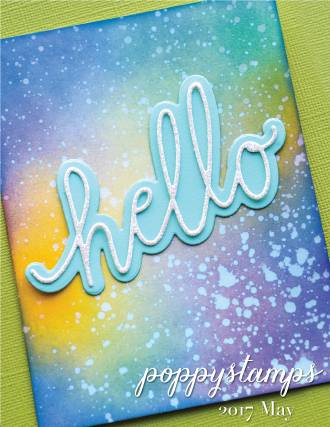 Any animal or flower would be cute above the hello! 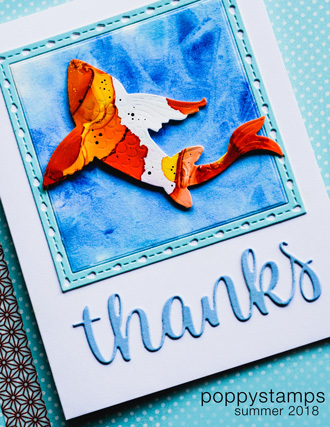 Entering the Make a Splash challenge is easy; simply follow the link here to see the details. I sure hope you join us and we would love to see your creation! The monthly prize is a $20 gift certificate awarded to one random player. Hello Everyone! Pam here today. Wonder how many of you know how to get perfect circles! 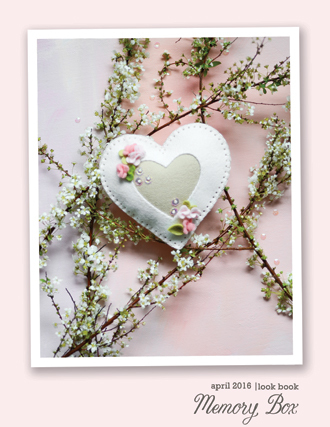 when using separate circle dies, lots of you will, so I`m doing this mainly for the new crafters who pop by our blog. For my Pinpoint Rings circle (No Cutting Edge) I have used the second largest plain circle from the "Double Stitched Circle Frames). I have used a piece of my "Magnetic sheet" ..this holds the dies in place so I can get the perfect gaps! place cutting edge down then tape together. Perfect fit on the plain circle I had cut. 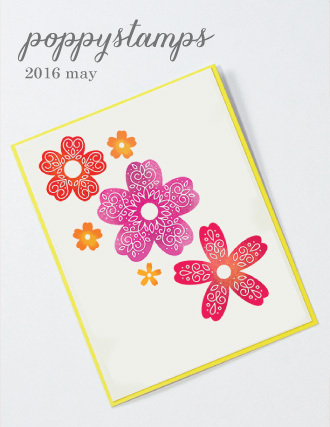 Run through your die cutting machine. This is how it looks after I ran it through the machine, I was underside weather to use the outer stitched frame! but decided not to. 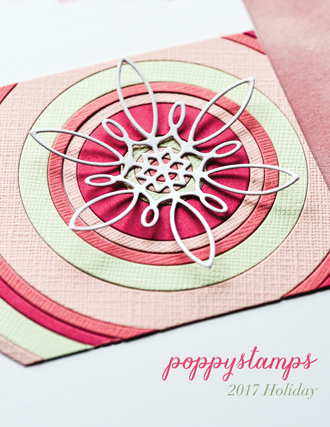 White square card 5.1/4" x 5.1/4" ..of set the taped Pinpoint Rings as shown, ran through my die cutting machine. edge with green ink pad or pen. I have adhered this to a card blank 5.1/2" square, again shaded with green ink. Main card 6"x 6" tent fold (Top opener) sentiment stamped in my Misti. Showing my separate Pinpoint Rings, I have used green glitter around the outer edge. Glue pen and glitter. 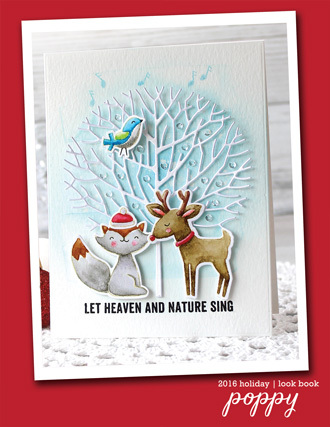 Showing a close up of the finished topper, Tidings of Joy stamp and matching die.. "Mistletoe & Holly stamp and matching dies, When I first stamped and die cut these! 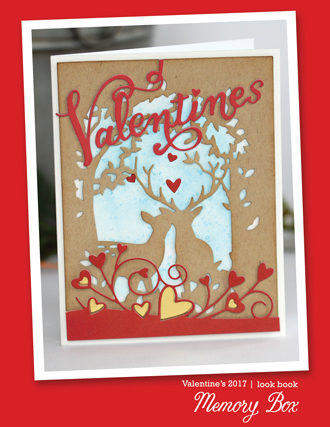 I tried colouring them, looked to heavy for this card!, so just used a glue pen and green glitter to most. random dots green liquid pearls. Hope you will have a go at this easy Christmas card, also hope you understand what I did. 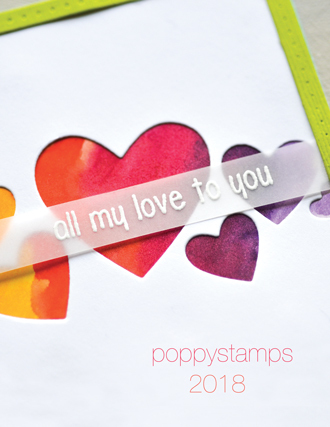 Greetings Poppy Fans! If you love the holidays, and all the traditions that make them special, then creating holiday cards is right up there at the top of your 'to do' list. 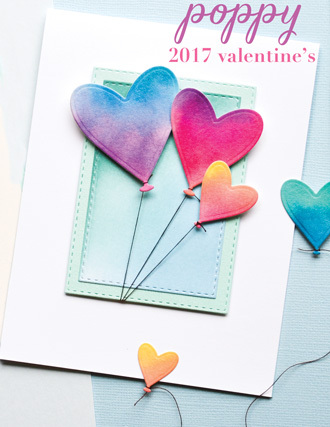 My card today is a combo of some of the newest stamps and dies and hopefully will inspire you to get cookin' on your holiday card making. 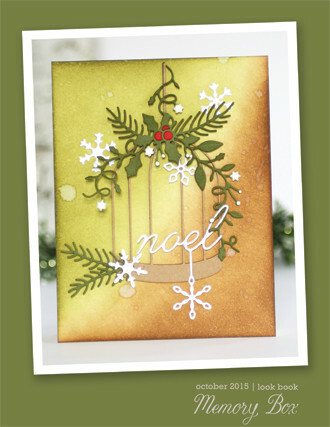 Holly Vine Sidekick Frame and Stencil lets you as artist, bring your special color touches to your cards. 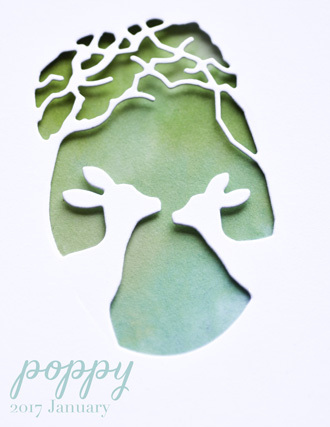 After taping the stencil over the leaves, I simply added a bit of sponged ink on each holly leaf. Don't you love the way the veins of the leaves stand out after sponging on the ink? The added texture of color just makes them pop! Once I finished copic coloring my poinsettia, I fussy cut the center petals of one, and adhered it to the center of the first whole image with a bit of foam tape. The very center has some Stickles added. (note: the embossing powder I used is Ranger's Liquid Platinum), and JOY filled in with my copics. 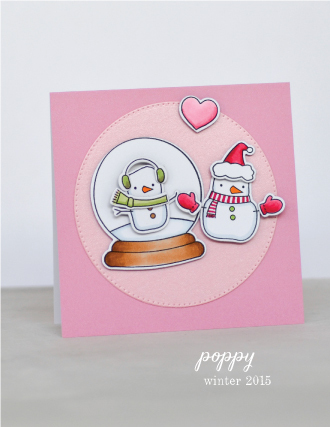 Hope you're inspired to play with a few of Poppy's new holiday collection! And be sure to come back every day for more inspiration! Happy crafting!